On Tuesday morning I couldn't believe my eyes when I looked out of the window and saw the sky alive with magical sparkling clouds! Never in my wildest dreams did I imagine I would be lucky enough to see such a sight. I'm fascinated by the Aurora Borealis and while it holds the only kind of lure which would make me briefly consider travelling to see it, does not amount to enough for me to make any plans. This is as close as I'm going to get to the dancing lights in the sky. I'll be honest, I had no idea what was going on. C advised me the light was something to do with ice crystals in the sky and the way the light is refracted, but I was too distracted to really digest it. 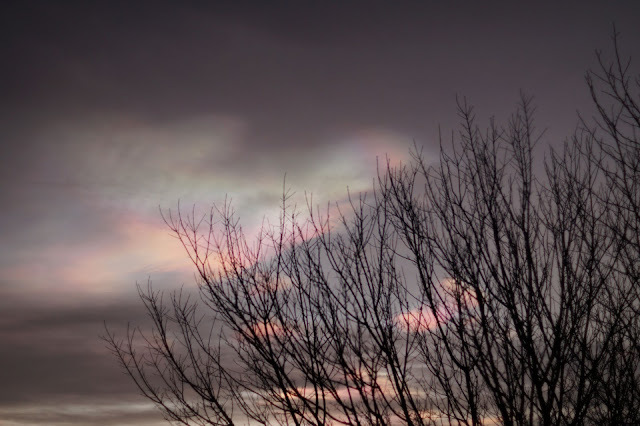 Later on I looked up what on Earth was happening overhead and apparently these are nacreous formations which indeed are caused by water droplets at really low temperatures. 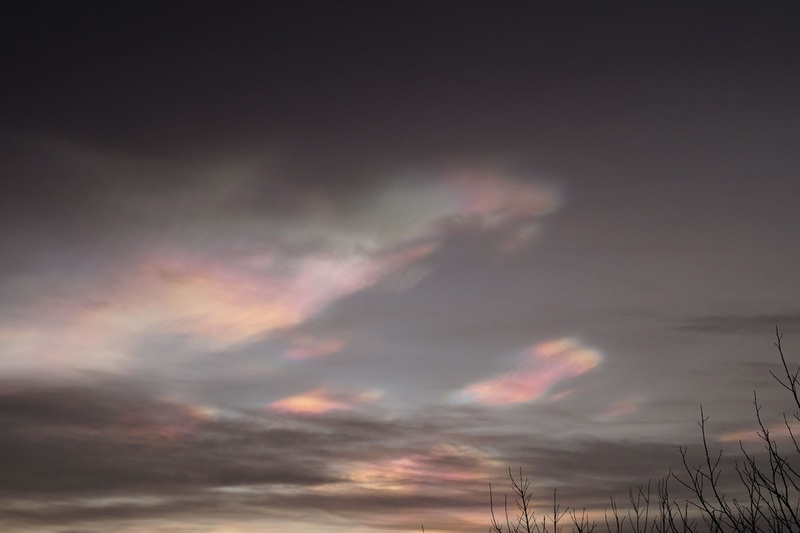 They are also known as mother of pearl clouds due to their iridescent sheen and thought of in the same breath as the Aurora Borealis. My heart is full of such love. Incredible! We were so lucky to witness something so rare. 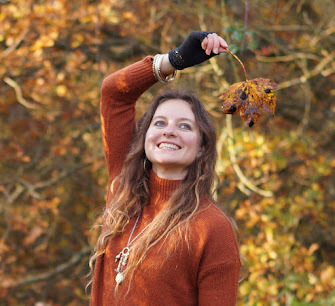 Did you spot magic in the sky this week too? It's so beautiful. You're so lucky to have witnessed it! Oh gosh, I had no idea they were seen right down South too! Our news reported that it was from Yorkshire to Aberdeen! I was on my way home from work when we saw them and was gutted that I didn't have my camera. You're very lucky to have been able to capture such lovely photos. It must be the season for it, someone else put some on my reading list a couple of days ago. Beautiful. Wow, I've never even heard of this, how gorgeous. Well done to see it AND get pics. I'm still desperate to see the Northern Lights some day. Oh wow, they are gorgeous! No fancy cloud formations here in Belgium, just grey all over. We have had some cracking sunrises and sunsets in the last few months though, especially before the new year - but I'm always at work during sunset, so it's all watching and no photo taking for me. But really, these are gorgeous and I hope to see something like this at some point in my life. And the Aurora Borealis too, I'm not too greedy, but I want to see everything!